The Eterno NM ‘Maxi’ range of paver supports features a fixed pedestal head (rather than the self leveling head on the Eterno SE range) but retains all the features which make Eterno pedestals one of the quickest and easier to use pedestal systems for building elevated decks and plazas – ability to adjust heights during and after installation, noise reducing rubber head with inbuilt spacer tabs and durable, UV resistant, polypropylene construction. With the NM series, you can adjust for sloping ground by placing shims on the pedestal head, each shim providing slope compensation of 1%. With their economical cost, the NM ‘Maxi’ Series pedestals offer an elegant, cost effective solution for all elevated deck support needs, laid over sloping ground, on rooftop decks, pedestal supported plazas, terraces, balconies or patios and can be used with all types of structural pavers – porcelain pavers, concrete pavers or structural wood deck tiles. From 1.125″ to 10.825″, (models NMK1 to NMK5) the deck supports consist of a circular base component, and a threaded central column. 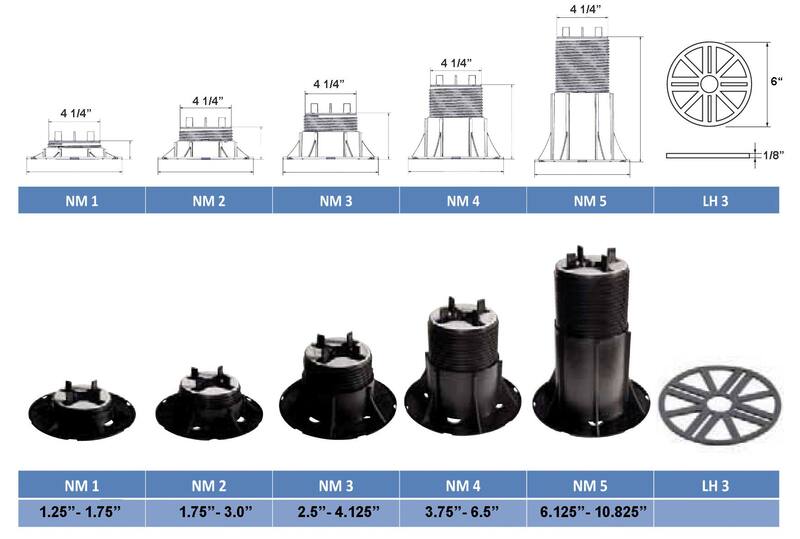 For heights from 7.875″ to 39″, screwed extension elements are inserted between the central column and base components, each element enabling a height increase of 4 1/4″. 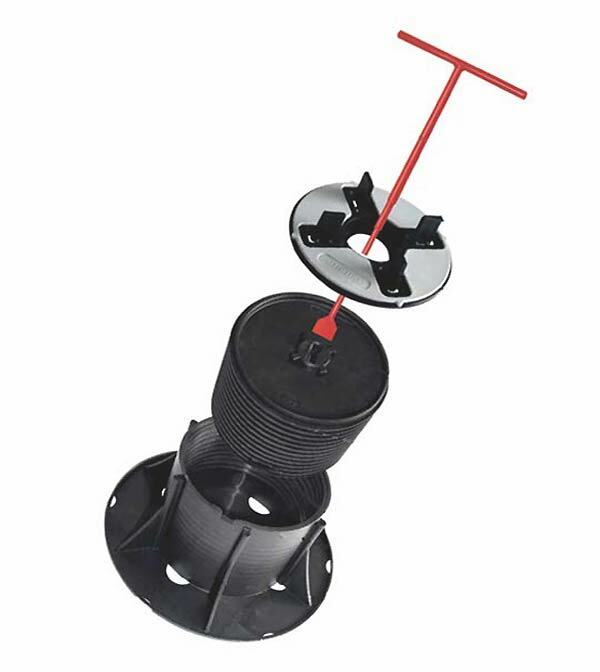 More details of this range of pedestals including more comprehensive installation guides can be seen here.